New Browns head coach Freddie Kitchens appears prepared to make the first major hire to his coaching staff. 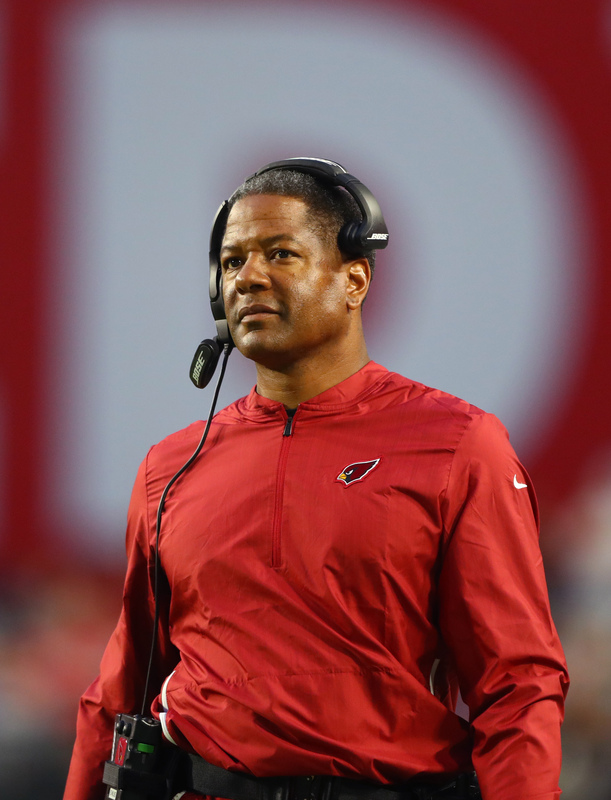 The team is working on a deal to hire former Cardinals head coach Steve Wilks as the team’s defensive coordinator, NFL Network’s Ian Rapoport tweets. Just earlier today, it was reported Wilks, who served one season as Arizona’s head coach, was expected to interview for the position. He apparently won over the new Browns head coach, and the two sides are working to finalize an agreement. Wilks, 49, went 3-13 in his one season with the Cardinals before he was fired late last week. Despite the poor record, the coach had the support of the players, including Larry Fitzgerald, who advocated for his return. Before going to Arizona, Wilks served as Carolina’s defensive coordinator and assistant head coach in 2017, helping the team rank No. 7 in yards allowed (317.1) and tied for 10th in points surrendered (20.4). The Browns will not have to adjust to a new defensive scheme, as Wilks employs the same 4-3 unit that Cleveland has used for the last two seasons. I don’t know enough about him to say whether or not I like him. His players in Arizona seemed to love him, and he runs the same defense. I think he’s only been a coordinator for a year, but since he obviously at least has a little (admittedly not great) experience as a head coach that should help Freddie adjust to the routine and whatnot. I think he got shafted in Arizona. Give him the young core to play with in Cleveland, could be a intriguing fit. I agree that this could be very intriguing. I’ve been watching the DC possibilities and was hoping that Mr. Dorsey and Coach Kitchens can land a candidate like Coach Wilks. He runs a 4-3 scheme and likes to bring pressure. This fits well with the current personnel and allows the defense to continue to build their skills rather than having a setback by a blowup and restructure. The “defensive mind” took Arizona backwards since he choose the system and fit the players to it rather than maximize the talent he had. Glad to be rid of him. Going to 4-3 he will do well. He just wasn’t willing to be flexible to the talent. Glad we aren’t switching back to 3-4. Seemed like every couple years we change denfensive fronts. Myles Garrett should never drop into coverage. Wilks was Clueless as a head coach. Keim was Clueless for bringing him here. Hey let’s hire a 4-3 coach whenall of our latest draft picks were picked to run a 3-4.